It's probably happened to you before. It's late at night, you drive up to your garage, press the remote, and the door doesn't go up all the way. This is just one of a number of signs that your home's overhead door needs fixing. The issue won't correct itself, so you need to act fast. If you continually try to operate the door and nothing happens, you could make the problem worse. Discount Garage Door Repair will resolve whatever is wrong with your overhead door. 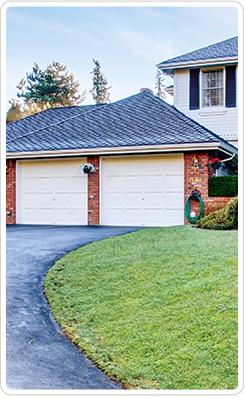 Our company is the only place you need to call for garage door repair in Frisco, TX. We have the tools and the knowledge to do what's necessary to make your door fully functional once again. You receive a timely response, quality repairs, and friendly service from technicians who have been in the business for 18 years. You're more than a name and a number on a service form to us. We appreciate your business and we let you know it from the start of our relationship with you. Customer-driven services are what you receive from our garage door repair company. If something is wrong with your overhead door, you want it fixed as soon as possible. We respond immediately to your calls and provide same-day garage door repair service. You also save when we perform your garage door repair services because we provide the best prices in the area. Our first course of action is to try to repair your garage door or replace its parts to see if that will make it work properly. Sometimes, though, an overhead door is too severely damaged for repairs to work properly. If that's the case with yours, we offer garage door replacement as an alternative. Contact us for garage door repair that extends the life of your overhead door. We proudly serve Frisco, Plano, Mckinney, The Colony, Prosper, Aubrey, Lewisville, Little Elm, and Allen, TX and the surrounding areas.